You can bring all kinds of accessories to make an impression, from a stylish cane to a wide brimmed fedora with a feather stuck in it, or even some extra big shoulder pads to show everyone on the dance floor who's boss. 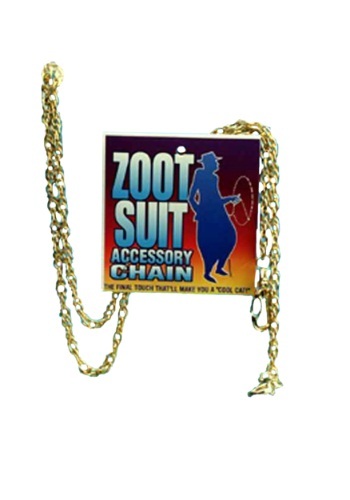 But the one thing you can't leave home without is this classy Gold Zoot Suit Chain, daddy-o! It'll make your fancy threads look glitzier than ever, and has clasps on both ends to attach to your trouser's belt loops. 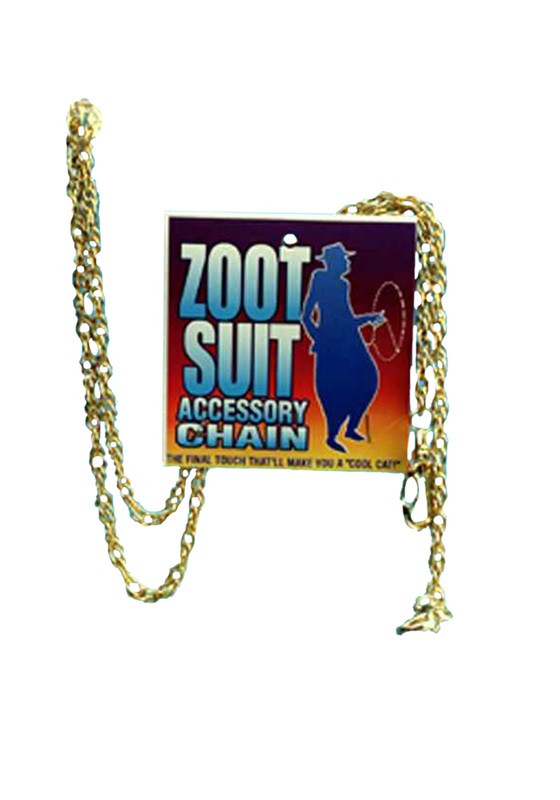 No hepcat would get caught dead without one of these flashy numbers!